Unfortunately, it’s quite common that animals are abused for the sake of tourist’s entertainment abroad. One of the animals that suffers the most is the elephant – a kind and friendly creature that is treated like a slave in many countries around the world. Even though people say that they love elephants, and that elephants are their ”favorite animal,” many still dream about riding one. Riding an elephant is the last thing you should do if you love and care for elephants, but for some the truth behind elephant riding and what is happening behind the curtains is not known. Animal cruelty is note always talked about in media, or taught in schools – so how can tourists know if it’s wrong or not? 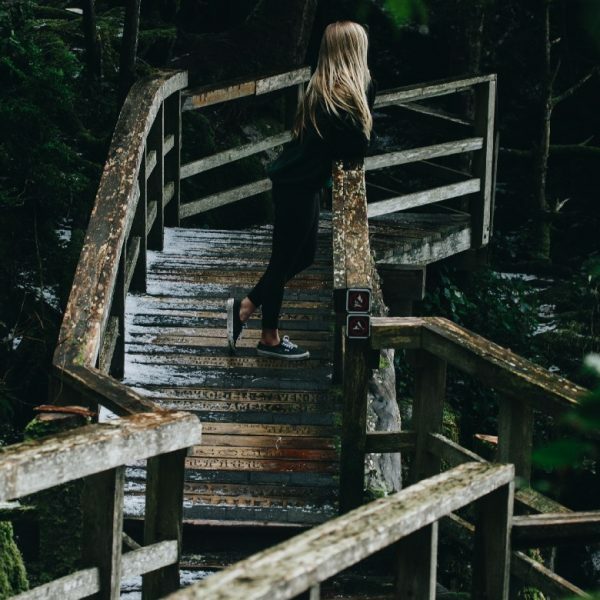 This month, Trip Advisor stopped selling tickets allowing contact with wild animals, a huge step in the right direction for encouraging responsible travel. 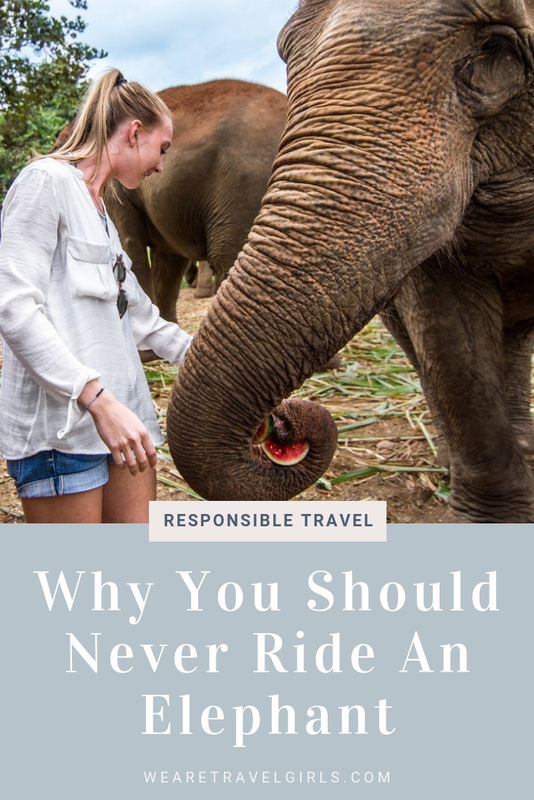 With this article, I’m hoping to spread more knowledge about elephant abuse and why you never should ride an elephant. Elephants are not living on this planet to work day in and day out to slave for humans – this animal cruelty has to come to an end and the more educated tourists are on these topics, the faster this change can come. 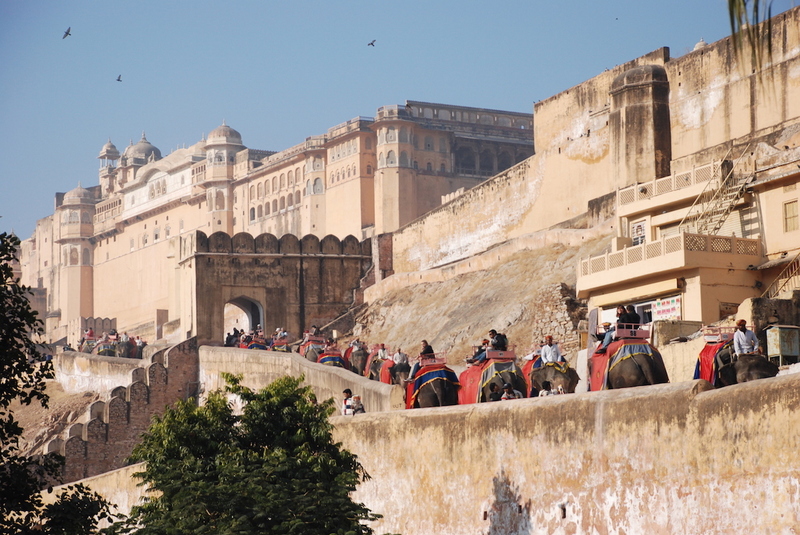 Most tourists who ride on elephants, don’t see what’s happening to the elephants behind closed doors. I think that if they knew, they wouldn’t see elephant riding as something fun. The process and cruelty starts when the elephants are babies. They are taken away from their mother to begin the ”breaking process,” also known as Phajaan (meaning crush or tear). It’s not enough to explain how Phajaan works with words. Therefore, you should watch the video below to learn about what the elephants have to go through before living life as a slave. Please note this video contains graphic content that may be disturbing and upsetting to the viewer. Please consider this before viewing. If you still don’t understand why the humans do this; it’s because they want to crush the elephant’s soul. If they break their soul, the elephants will not dare to do anything other than obey its ”owner.” If humans did not perform this breaking process, elephants would never obey their handler and let their handler abuse them, making them do hard work and entertainment. – They bind their feet with ropes – then later replace these binds with chains. – They force the elephants to have stretched limbs. – The elephants are beaten with sharp objects. – They also abuse them through shouting and cursing at them. – They are mutilated by hooks that are stuck into their heads, breaking their skin and hurting their ears. Phajaan is the most common method used towards elephants in Asia – including popular destinations such as; Thailand, Myanmar, and India. 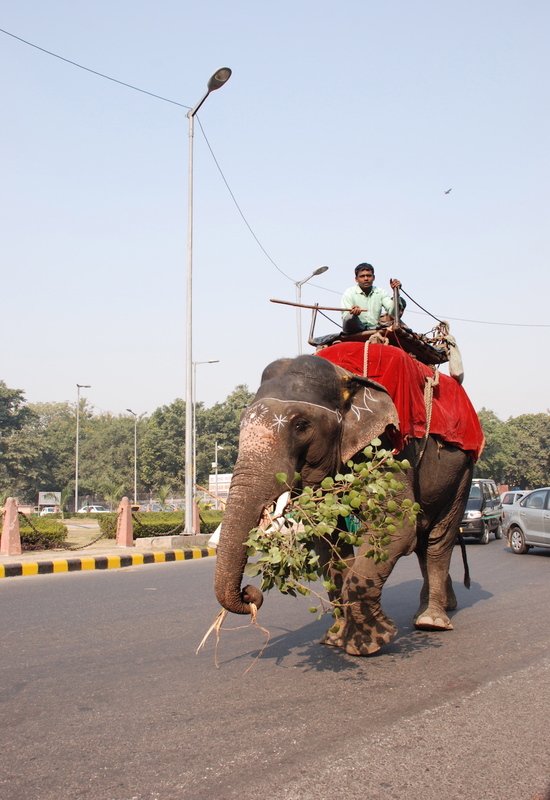 Many people think that elephant riding is harmless and that the elephants seem to like it – they don’t. Sure, elephants are strong animals, but their spine isn’t made for carrying humans, especially not people sitting in a little wooden house or seat on top of their back. Just imagine yourself carrying around a heavy backpack all day, day in and day out. The first day you would feel a small pain in your back, and after a couple of more days, your back would start to degrade. It’s the same thing for elephants. Not only is the weight on their back affecting their pain – the seating for also scratches their skin and creates wounds that can get infected. Over-extending their feet is also another big problem that causes damage and infection. Imagine a life that starts with you being taken away from your mother; scared and alone, then being tortured, starved and treated like a slave for the rest of your days. To live a whole life in pain and fear – It’s just heartbreaking. As you might know from this article, people do everything to earn money. Many of the places that offer rides on elephants claim that they treat them well and that the elephants think it’s fun to walk you around. Let me get this to you straight; no place in the world is good if they allow elephant riding. There is no elephant that would allow a human to ride on them unless they have been through a breaking process of any kind. 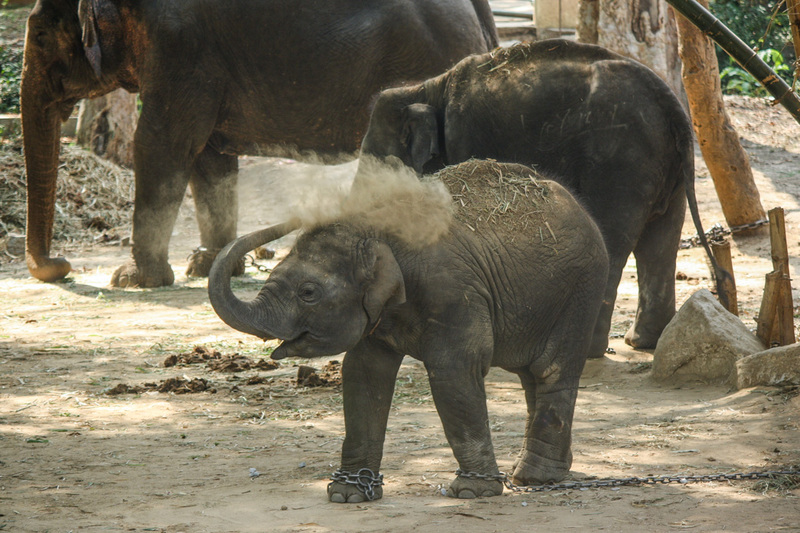 Many of these places also keep their elephants in chains, and say that it’s for their own good. It’s not, this is just another lie and excuse to make sure that the elephants don’t escape their nightmare when the humans look away. Then you might think; ”Oh, but if they live at a sanctuary – aren’t they still in captivity?” Yes, you are right, but without these loving havens the elephants would be captured and abused again. A great sanctuary is a place where elephants can walk around freely on large surfaces – where they don’t have to obey humans and where everything takes place within the terms of the elephants. I have seen all over social media, especially on Instagram, travelers visiting so-called ”sanctuaries.” Just because a place is called sanctuary, it is not certain that it’s as good as it sounds. 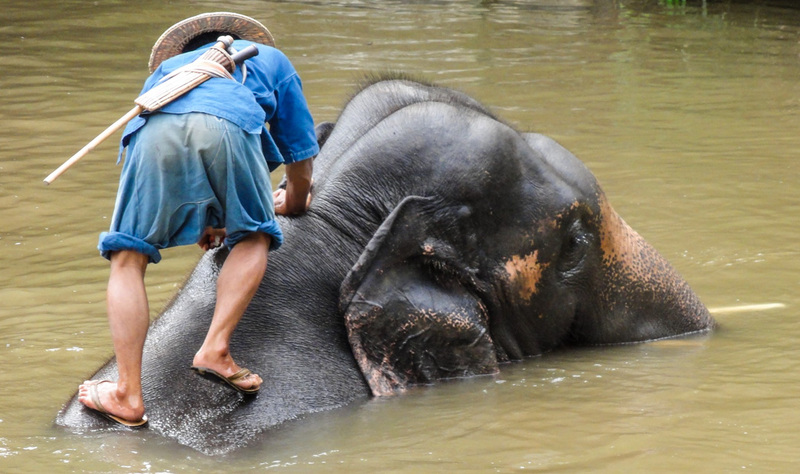 Pictures of elephants with chains/ropes around their necks, people riding without the seating and also individuals who stand/lay down on elephants while bathing in a lake to take photos – that is not how it should be at a real sanctuary. In short you should conduct extensive research before any visit to a place where you can interact with elephants. After some research of my own during my trip in Asia, I decided to go to the amazing Elephant Nature Park outside Chiang Mai in the northern part of Thailand. 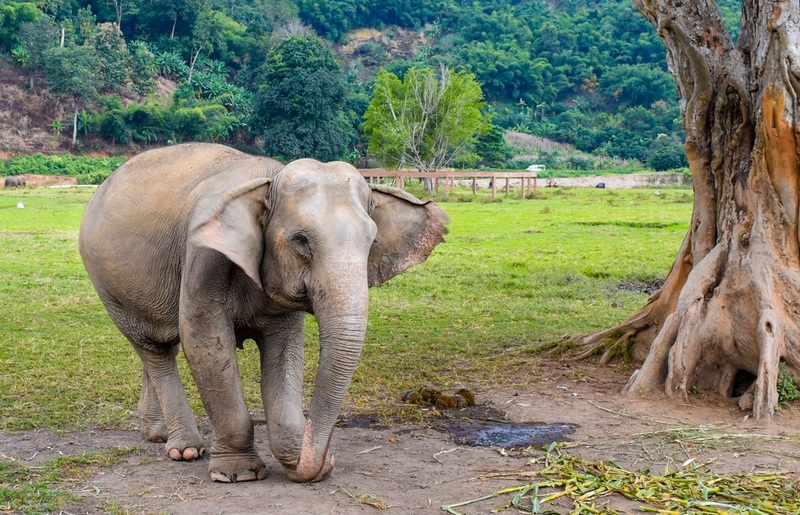 The money you pay to visit this sanctuary goes directly to keep this place running and to feed the elephants (they eat lots and lots of food!). If you’re looking for an unforgettable meeting with formerly abused elephants, then this is a great place. Here you get to interact with the elephants (all on their terms), follow them on walks through the jungle, and also give them a nice bath. The beautiful thing about this place is that the elephants can walk away, at any time, if they feel uncomfortable. You always have to follow the sanctuary’s rules – no screaming/loud talking, no standing in front of the elephants and to always respect them and show them the love that they deserve. This elephant was rescued from tree logging work in Thailand. You can see on her right front leg that she’s got a permanent injury from a working with a broken leg. Now that you have heard the whole story about animal cruelty with regards to elephants, I hope that you now understand why you should never ride on an elephant or support other activities that include abuse of elephants or other animals. If you know someone that dreams of riding on an elephant – inform them about how horrible it is, and what they should do instead. We all have to come together to bring animal cruelty to an end. Together through knowledge, we can make the world a better place. If you stumble upon an animal attraction and you’re not sure if it’s bad, always think; if you would not be OK with a human being treated this way, then it’s NOT OK to treat an animal this way. 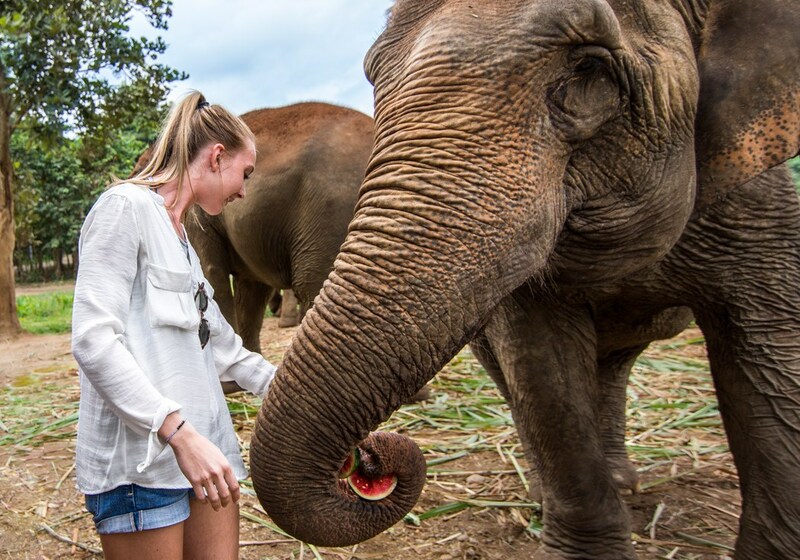 Me meeting the beautiful elephant Tilly at Elephant Nature Park in Chiang Mai, Thailand. We hope that this article has inspired you to be a more responsible traveller. If you have any questions your own travel tips to share please leave these in the comments below. That was an amazing article and a huge eye opener! I love animals and nothing saddens me more than animal cruelty. Well written article that everyone needs to read. 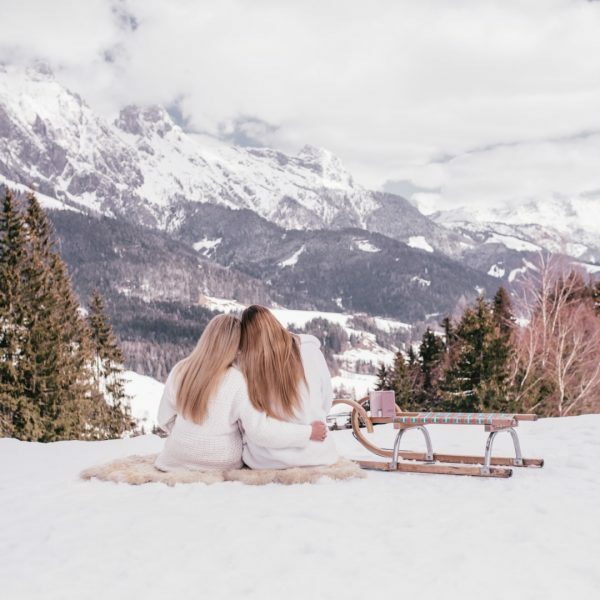 Thank you so much for taking the time to read this article Allison, its important people are educated about these activities when they travel so we were very pleased to publish this and share the message. Thank you so much for reading and sharing this important message Cherene. We hope to be able to share more articles on responsible travel in future. This is a fantastic post! It’s truly heartbreaking what happens to these amazing animals. Being in Thailand I’ve seen the whole “ride an elephant” tourist traps and it really is important people know the truth. I honestly didn’t know all these details. Thanks for commenting Anna, this is an important topic that needs to have as much attention as can be drawn to it. We hope to share more posts about how to travel responsibly in future. Please share with anyone you think would be interested. Thank you so much for sharing this article Allison! I’m someone who’s always dreamed of riding an elephant. But learning about how they break their spirit for this to happen has changed my mind. I think visiting a responsible sanctuary will do just as well. Rest assured, I will share this article. 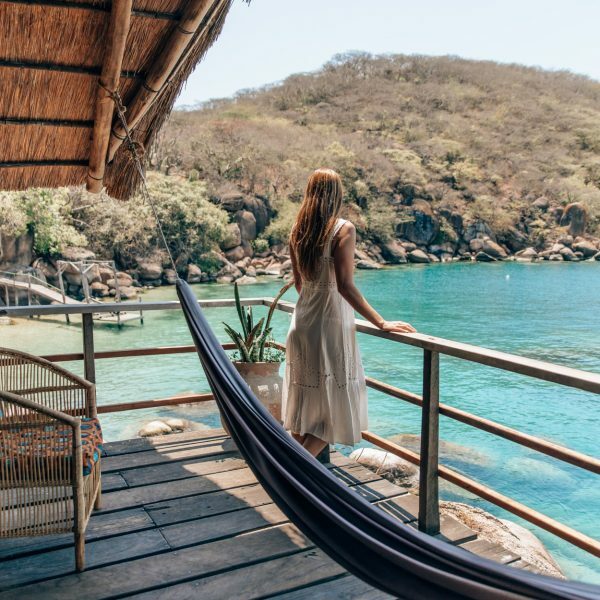 Thanks for taking the time to read this Christa, we are pleased that this has helped to educate at least one person about this topic… Hopefully we can share many more responsible travel articles in the future. Thanks for sharing! Thank you so much, this is a really great post! Travellers (and people in general) need to be sensitised to respect animals. Thanks for reading this article Clara. Totally agree, we will try to share more responsible travel articles in future too. Thank you so much for sharing this! I’ve never traveled in a part of the world that does this, but I’ve read a bit about it lately and it’s absolutely horrifying. Hope we can all spread the word to help end it. Thanks for taking the time to read this Naomi. Please share the article to help spread the message. We are travel girls thank you for sharing the story of elephants with us! I truly believe that someday we will live in a peace with animals and nature. As for now, I am going to use this article and video for my presentation for the university. I will spread the word and make people aware of a damage that irresponsible traveling may cause. Thank you for reading this Sandra, please share to help spread this message. Thanks for reading Megan. This is an important message and we were happy to be able to share this post with our community and spread awareness for those who haven’t researched or read about the topic before. Thank you for this important article – it was a pleasure to share with my readers!! !